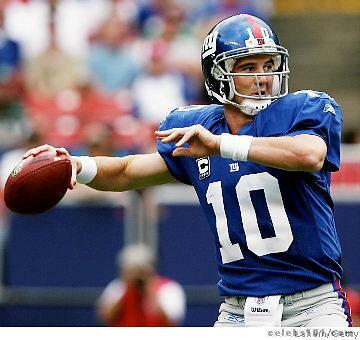 Eli Manning-QB-Giants- Against a pretty good defense that had given up only 10 points to Cam Newton and the Panthers a week earlier, Eli and the Giants teed off for quadruple that amount on Sunday at Met Life Stadium. Down by as many as 14 at one point, Eli threw the rock 51 times for 520 yards eclipsing the previous record held by Phil Simms who set it in 1985 with 513 passing yards. The only other Giants QB to pass for 500 or more yards in a game was Y.A. Tittle; 505 yards in 1962. Donte Rosario-TE-Chargers- How many of you had him on your roster? QB Philip Rivers has his number in the red zone several times on Sunday as Rosario had four receptions for 48 yards and three touchdowns. Here’s a guy that hadn’t scored a touchdown since he was with the Panthers in 2009! In fact he had never scored more than 2 TDs in one season in his five-year career! Antonio Gates (sore ribs) is expected back this week so don’t go & grab Rosario up off of waivers just yet. Reggie Bush-RB-Dolphins- The former 1st round second overall pick of the Saints in 2006, lit it up yesterday with 26 carries for 172 yards and two touchdowns. After that performance Bush became the second leading rusher in the league behind C.J. Spiller. Bush rushed for 71 yards with one fumble in a 24-6 loss to the N.Y. Jets in week 5 last year. He’ll face the Jets at home next week. Hakeem Nicks/Victor Cruz-WRs-Giants- These two receivers were the recipient of the majority of Eli Manning’s passes collecting a combined 371 receiving yards between them and two touchdowns. Nicks (199 yards) was targeted a team high 15 times while Cruz (179 yards) caught 11 passes and then acknowledged his Grandmother after scoring his lone TD as she was the one responsible for him learning his now famous Salsa endzone dance. 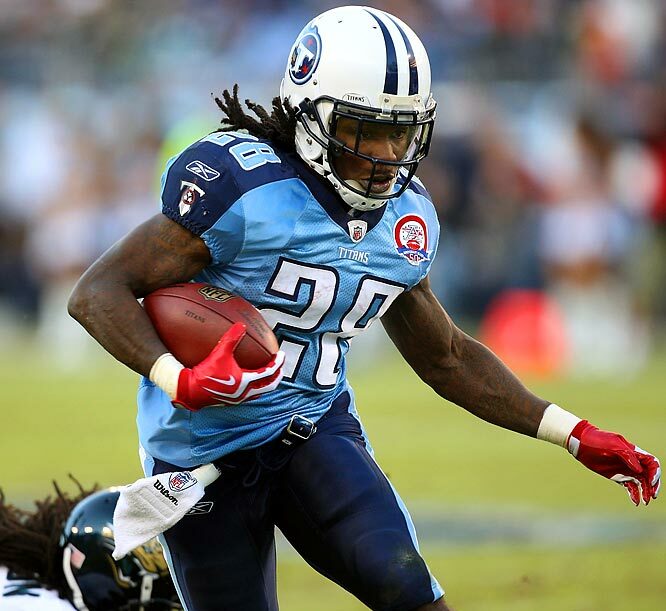 Chris Johnson-RB-Titans- Another lackluster day for the former 1st rounder. The Titans had to play catch-up for most of the game once again but C J’s 8 rushes for 17 yards brought his two-week total to 19 carries for just 21 yards; a 1.1 YPC average. At this point most of Johnson’s owners are scratching their heads as his numbers continue to slide. In his 1st two weeks of the season last year he had 77 rushing yards, 2010 176 yards & 2 TDs, and 2009 254 yards & 2 TDs. Not a good sign. Tim Tebow-QB-Jets- The talk around the Jets camp before the season started was that Tebow was to be in 15-20 plays per game. He came in for 9 plays in week 1 and just 3 on Sunday, all in the 3rd quarter. He has 33 rushing yards in the 2 games and has no completions. It would be hard to believe that he will be back next season if this trend continues, especially if Sanchez stays healthy. Jamaal Charles-RB-Chiefs- Charles, who blew out his knee (torn ACL) on Sept. 18th last season re-injured his surgically repaired knee during Sunday’s game but prior to that his 6 attempts for 7 yards were nothing to write home about. For the season he has 22 carries for 90 yards and no touchdowns. Another reason why we always are a little leery of drafting players coming off major injuries. Kevin Ogletree-WR-Cowboys- Feel bad for the over 2 million owners who ran to the waiver wire to grab this potential stud after his amazing first game vs the Giants when he caught 8 passes for 114 yards and 2 TDs. Week two was a completely different story. Tony Romo threw 40 passes but only one to Ogletree for 26 yards. 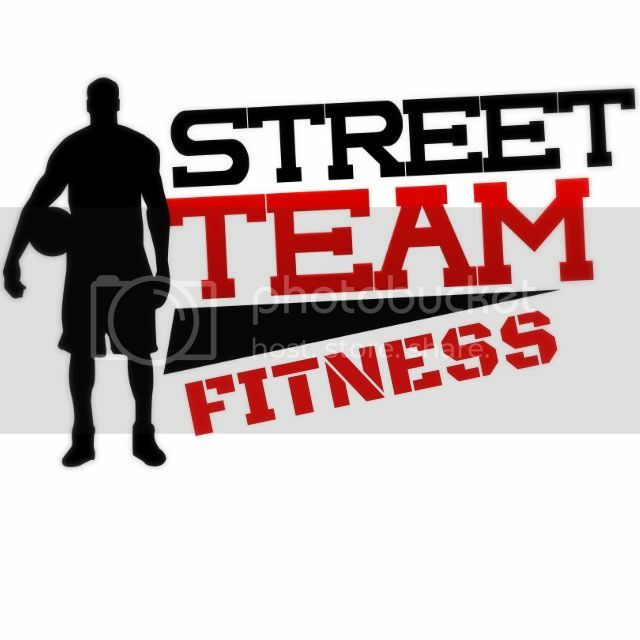 We would recommend that you keep him on the bench for another week until or unless he proves his worth. Great post…Manning may have gone from DUD to STUD in one game! He sure saw the “best of times and the worst of times” last week! And yea, Timmy won’t be wearing the Jets uniform if things don’t change. And a late addition to the DUD side…Michael Turner, going 97 mph on the open road while drunk! Guess that’s what you get when you pick up 42 yards on 17 carries…BTW, thanks for the RB! Surprised then why Chris Johnson wasn’t in the same bar and car as Turner after his 8 rushed for 17 yard day..
Yea, really! Guess some guys just handle a “bad day” with something other than alcohol. There’s a lot of pressure on these players, I’m sure. But they don’t help themselves by blowing things off in some bar! I love that Reggie Bush is doing this for MY Dolphins. And the best part about it? The NCAA cannot take it back. True… Let’s just hope that Reggie stays healthy. He did miss 20 games in 2009-2010.